Bridal Cave Now Offers Lantern Tours! Bridal Cave is excited to announce we are now offering Lantern Tours! This new tour at the best natural attraction at the Lake of the Ozarks is a MUST DO. Don't miss your chance to go back in time almost 150 years and explore Bridal Cave as the first explorers did....by lantern! 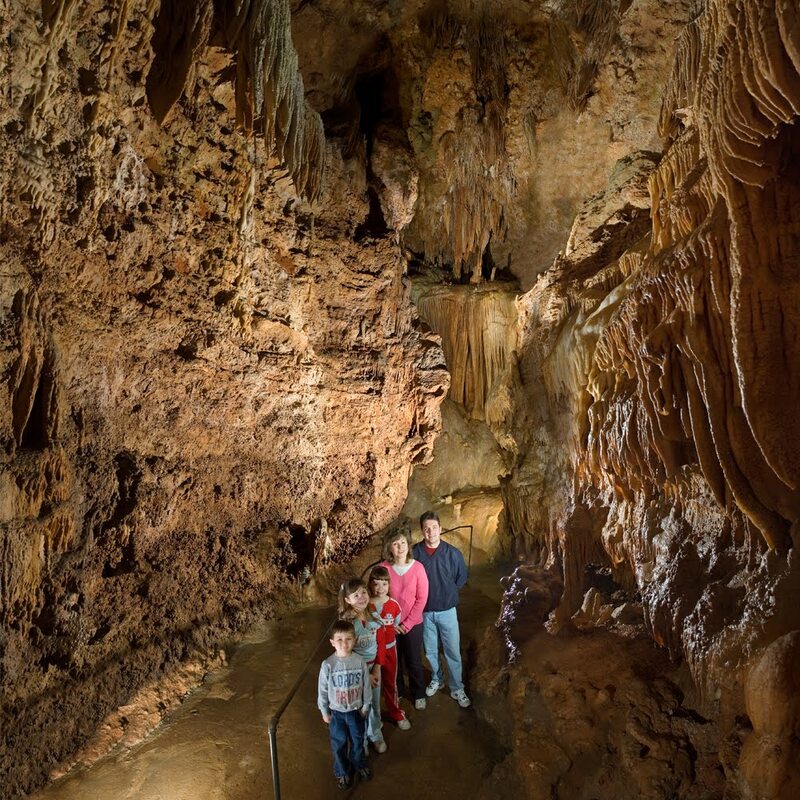 This special 75 minute guided tour of the best cave in Missouri details the adventure of what cave exploring used to be before electric lights. 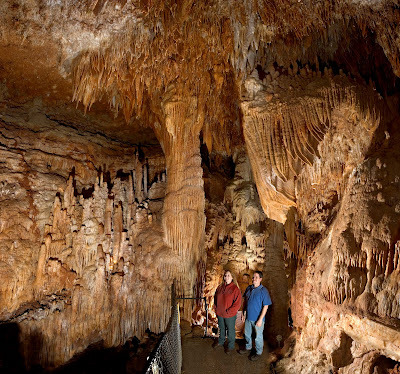 Your experienced guide will give in depth history of Bridal Cave, Lake of the Ozarks and cave exploration over the centuries. Adults receive a souvenir LED lantern. Children receive a souvenir LED Cavers Helmet (not recommended for children 4 and under). Lantern tours are available on Saturday evenings at 7 pm, Memorial Day weekend through Labor Day weekend. The National Day of Caves & Karst is Coming June 6th! There is a national holiday coming up very soon that all of us here at Bridal Cave & Thunder Mountain Park are very excited to share with all of you., Tuesday, June 6, 2017, is the National Day of Caves & Karst. Our natural attraction at the Lake of the Ozarks is just one of the many places where you can celebrate this amazing day. This national holiday was declared by the National Caves Association, which is represented by more than 80 show caves across the United States, Bermuda, and Barbados, including our very own Bridal Cave. That' s a lot of beautiful places to discover and explore! This special day is being introduced in the hopes that people will be inspired to tour at least one cave this summer. 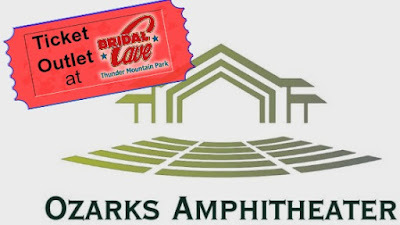 We would like to announce that Bridal Cave & Thunder Mountain Park is now an official ticket outlet for Ozarks Amphitheater in Camdenton. You can spend the day at our family attraction at the Lake of the Ozarks, then head on over to enjoy a concert under the stars that night! The Ozarks Amphitheater is an open-air concert venue located just a couple of miles away from our scenic Lake of the Ozarks attraction. It was completed in 1993 and has hosted some very well-known entertainers. The Charlie Daniel's Band, Foreigner, REO Speedwagon, Miranda Lambert, Blues Traveler, and Willie Nelson are just a few of the famous voices that have graced the stage. There is a very intriguing event coming to the Lake of the Ozarks, and Bridal Cave & Thunder Mountain Park want to make sure that everyone in the lake area knows all about. Give Lake is a 1-day, online event focusing on raising funds and awareness for many local non-profits in the lake area. 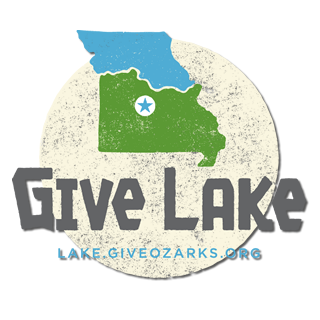 Give Lake is a part of the bigger Give Ozarks day of giving event taking place on Tuesday, May 9, 2017 from 12 am until midnight. Throughout the Ozarks, more than 225 non-profits will be helped. "Give where you live" is the theme, and here at the Lake, 12 local non-profits that work to make the lake community a stronger place will benefit from local donations. Last year this incredible event raised $51,000 in just 24 hours, and this year they hope to raise even more!